Science Night at Chabad Boys Club! Lag B'Omer with Hebrew School, Kivun and CFP! This was our very first fundraiser for Chabad Family Programs. THANK YOU ALL! The first $10K WAS DOUBLED by a kind sponsor. Will YOU be a $10k sponsor in our next fundraiser? The first $10k of this fundraiser were doubled as per our dear, generous Matcher. Now, until our next Matcher arrives - the funds noted are your actual contribution. Next Matcher: Where are you? All the above contributions were recorded here as doubled - as per our first $10k matching sponsor - thank you so much! Until our second matching knight comes along... the following contributions will be recorded as they were given. 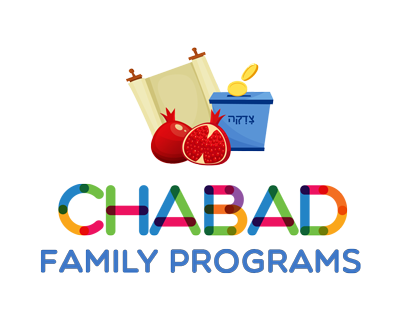 Support Chabad Family Programs on the West Side! joyous Jewish experiences that help create community. Contribute via Credit Card, Check, wiring, or donating your car! To make a payment for a specific program or activity, click here . Yes, I'd like to participate in my company's matching option. Please contact me to discuss. Join our CHAI Club by contributing $180 monthly, via the recurring payment button below. Chai Club members will be featured on our site (unless otherwise requested). The recurring option also works for any other monthly contribution. Wiring: Please email RCBA@ChabadWestSide.org, call or fax for wiring info. Car Donations: Get a tax deductible receipt for the full value of your car. Email, Call or Fax to the above numbers. Stock, Real Estate or Will: Please email, call or fax to discuss.